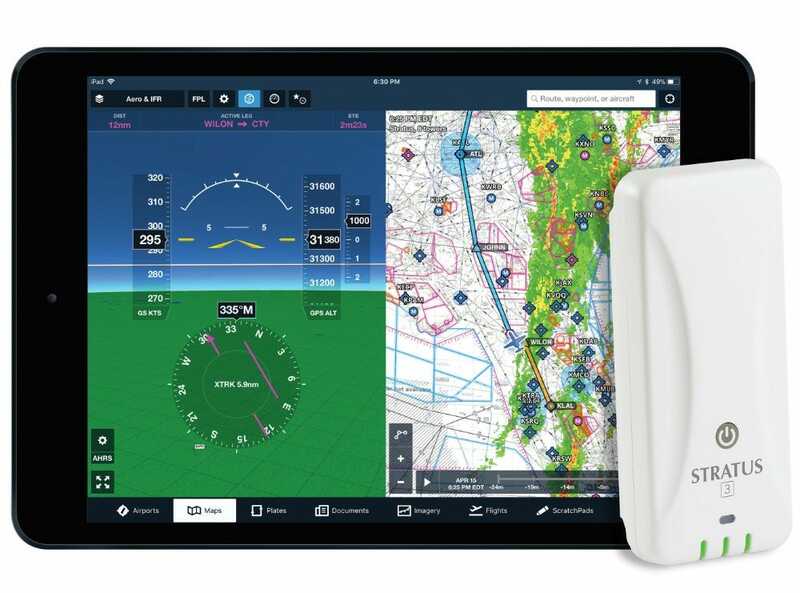 Stratus 3 by Appareo, the latest generation of aviation’s top weather receiver, is your everyday cockpit companion. 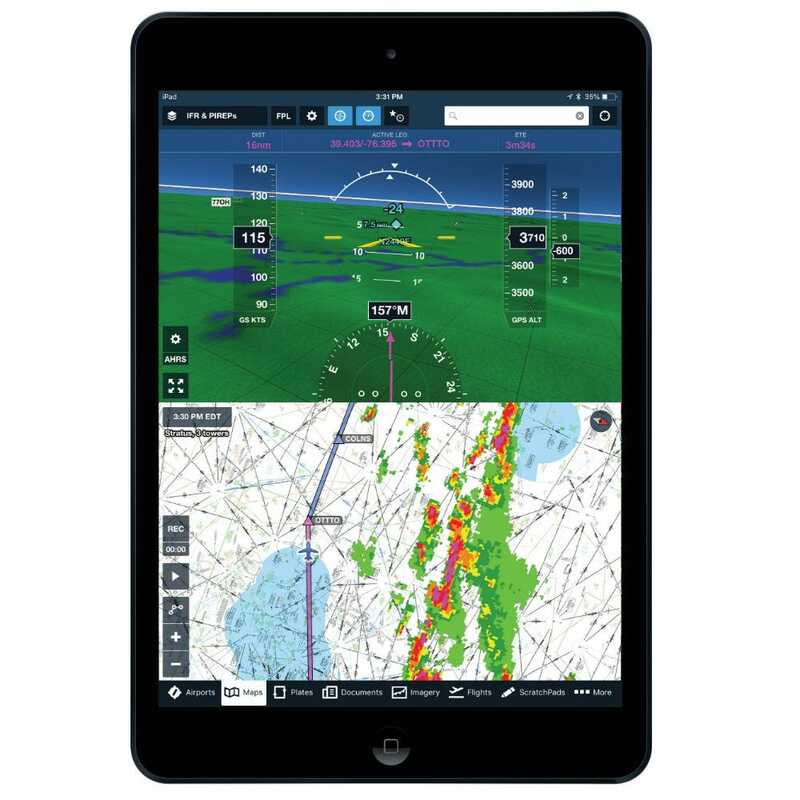 Just turn it on and go flying - in minutes you’ll see subscription-free weather, ADS-B traffic, backup attitude, and GPS position right on your tablet. All this information at your fingertips will dramatically improve your situational awareness and help you make better in-flight decisions. Proven by millions of flight hours in everything from Piper Cubs to military fighters, Stratus is the portable avionics solution you can trust. And now it’s smarter than ever. 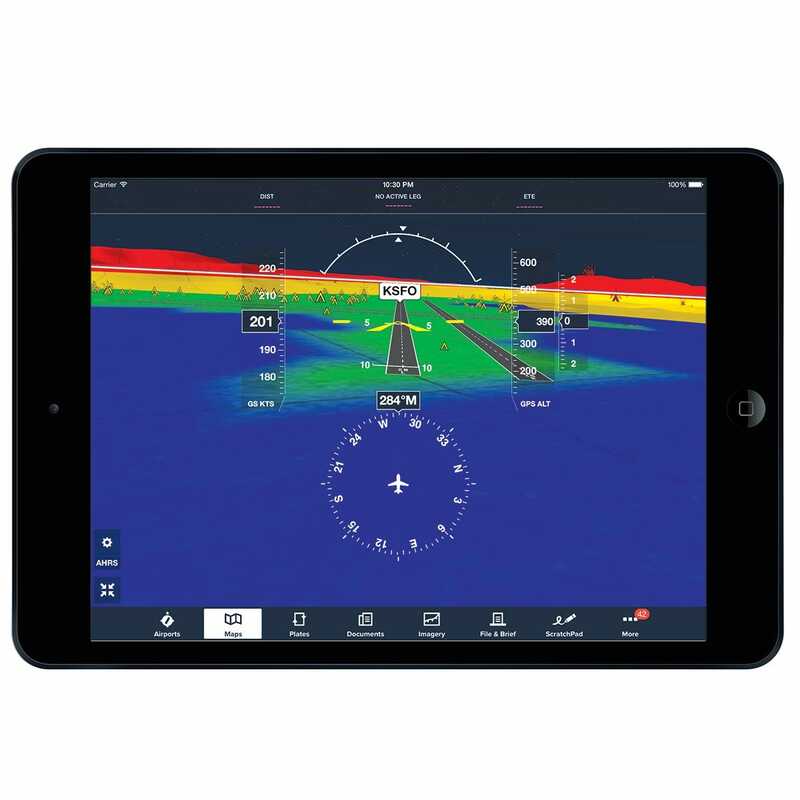 Stratus 3 was designed from the ground up to integrate with ForeFlight, aviation’s most popular app. You can view complete status information right from the moving map page, and adjust settings remotely - even dim the lights on Stratus 3 from the app! 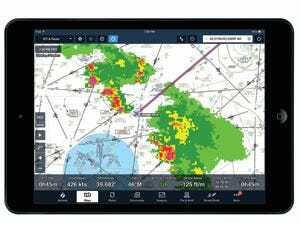 Plus, Stratus Replay allows ForeFlight users to turn off their iPad screen without missing weather updates, saving battery life. 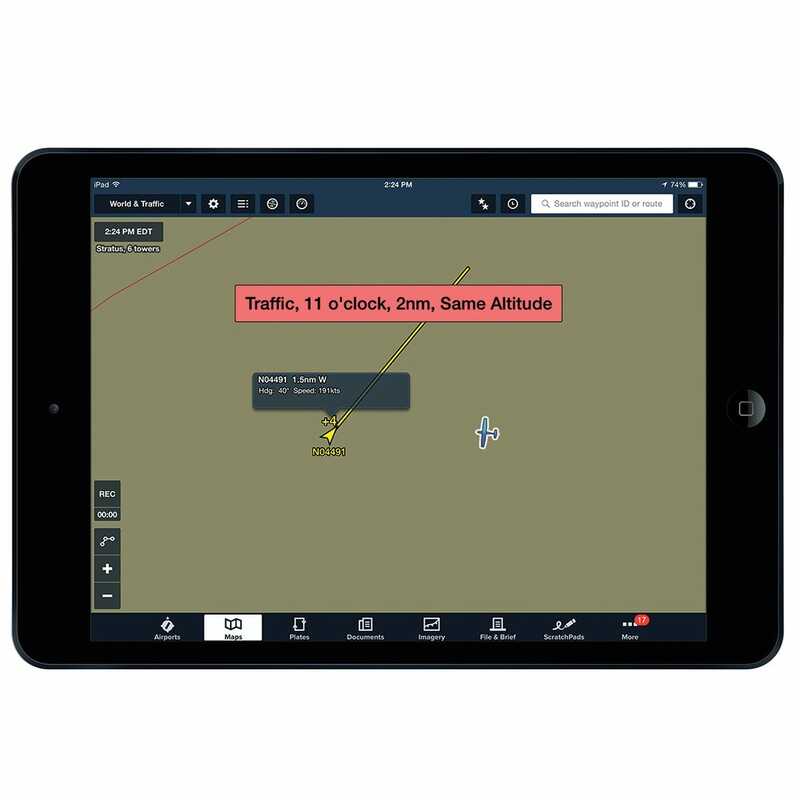 Now you can use Stratus 3 with a variety of aviation apps, both on iOS and Android, using the industry standard GDL 90 protocol. Includes weather, GPS, traffic, and attitude (some features only available with ForeFlight). To turn on GDL 90 support, download the free Stratus Horizon Pro app. Quality and reliability is essential with cockpit avionics, and from the very beginning Stratus products have been designed for pilots, by pilots. We extensively test the hardware and software to make sure it can handle the demanding in-flight environment, and every Stratus product is proudly made by Appareo in the USA. 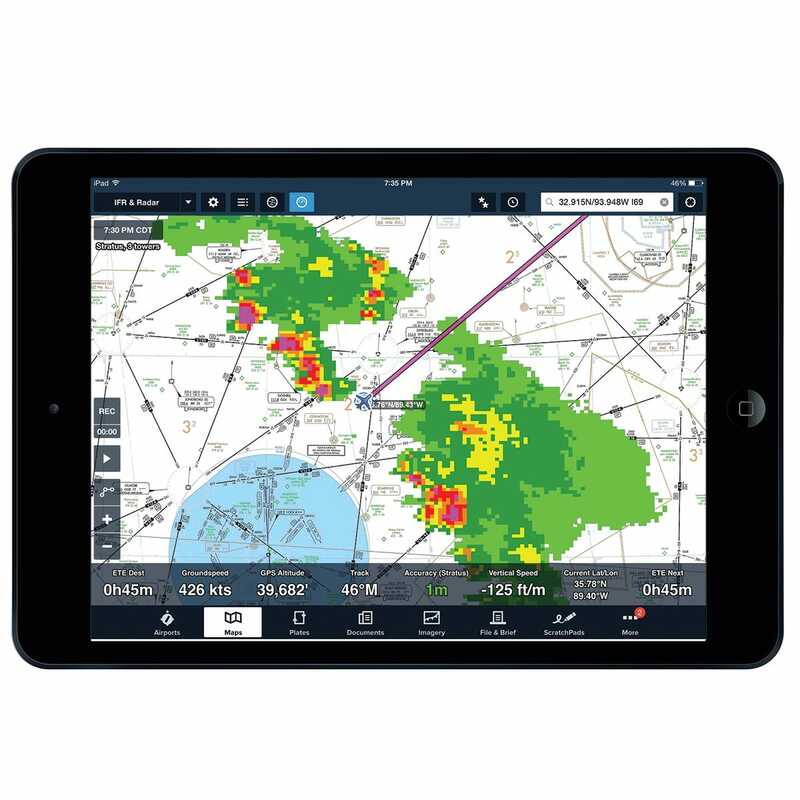 You can view in-flight weather on your iPad, including NEXRAD radar, METARs, TAFs, TFRs, AIRMETs, SIGMETs, NOTAMs and more. It's updated every 5-10 minutes and there are no subscription fees – ever. Plus, Stratus Replay allows you to turn off the iPad screen in flight and save battery; when you turn the screen on again, Stratus will automatically send all the weather information you missed. This can double your iPad's battery life. 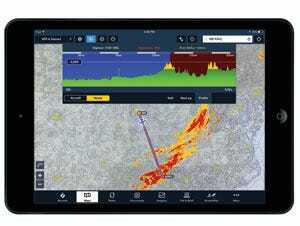 ForeFlight's Synthetic Vision feature rewrites the book on situational awareness. With luminous terrain, night sky view, hands-free declutter, and a brilliant obstacle awareness system, ForeFlight with Synthetic Vision will forever change the way you fly. 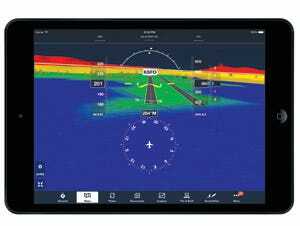 With Stratus 3, ForeFlight's synthetic vision really comes alive. The built-in AHRS drives a super responsive pitch and bank instrument in the center of the Synthetic Vision view. In an emergency situation, you’ve got a backup glass cockpit on your iPad. Stratus 3 includes a dual band (978 MHz and 1090 MHz) ADS-B receiver so it can display traffic information right on the ForeFlight Maps page. See relative altitude, climb/descent rate and projected track. Picks up all aircraft equipped with ADS-B Out as well all aircraft equipped with Mode C transponders. Note: ADS-B traffic is limited if your aircraft does not have ADS-B Out installed in the panel. 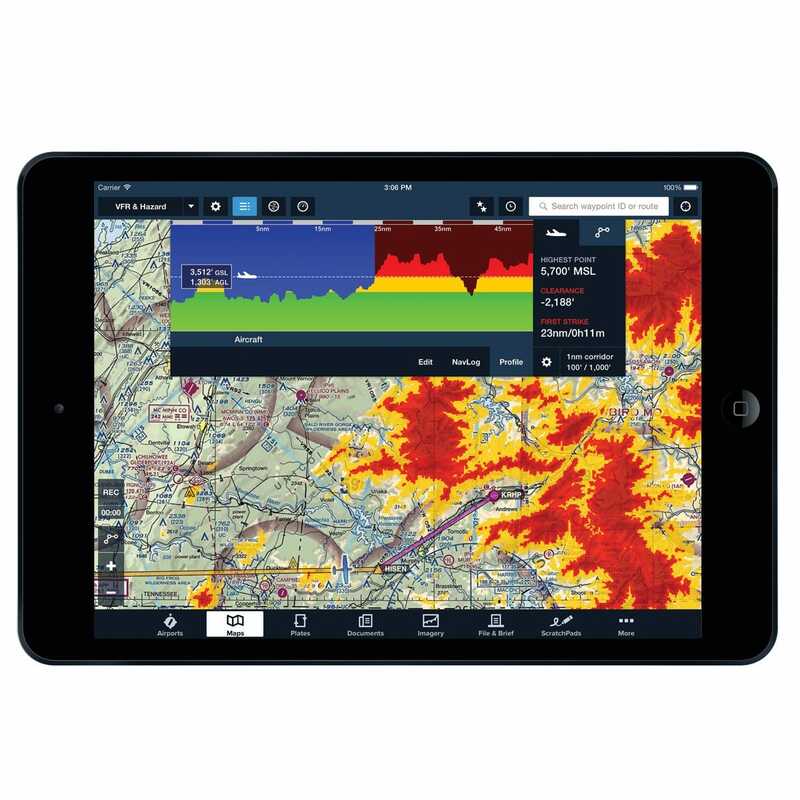 With the built-in WAAS GPS receiver, Stratus allows you to view moving maps, track up displays and high resolution terrain maps in ForeFlight. The smart GPS locks on fast and typically provides 1 meter accuracy. 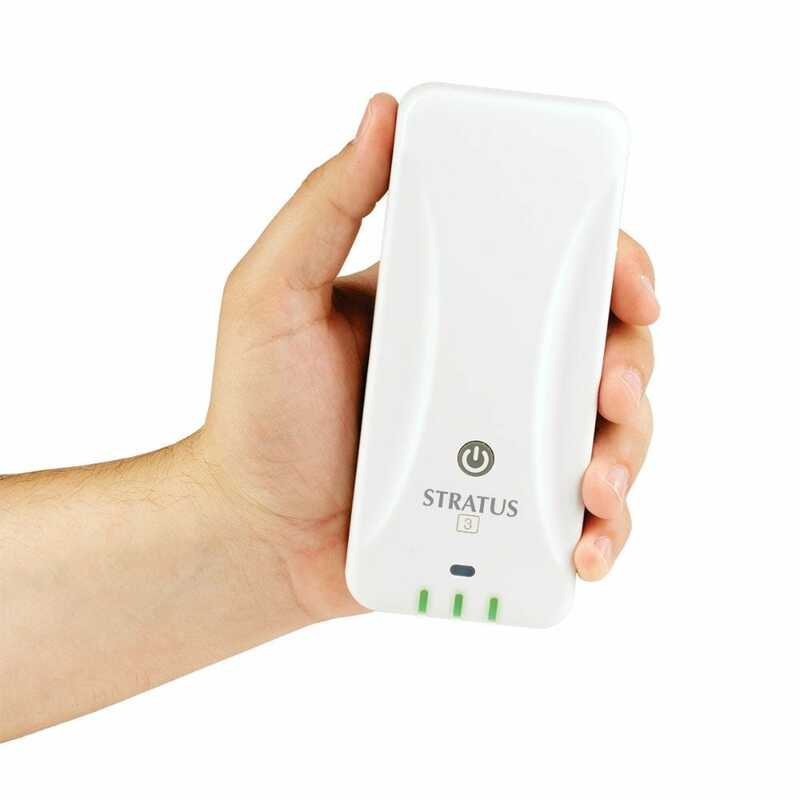 Replaces the need for a separate GPS receiver - Stratus has it all! Stratus is the first ADS-B receiver to offer a complete flight data recorder system. When this is enabled, Stratus automatically records your flight - complete with GPS position, altitude, speed and attitude. Flight logs are saved in ForeFlight, and can be viewed online, in Google Earth or in the CloudAhoy app. Ideal for proficiency flights and CFIs. With its built-in barometric pressure sensor, Stratus 3 allows ForeFlight to display both pressure altitude and GPS altitude. Plus, ForeFlight’s automatic Cabin Pressure Advisor alerts you when you might need oxygen by flashing a message anytime cabin altitude exceeds 12,000 or 25,000 ft - perfect for turbocharged or pressurized airplanes. 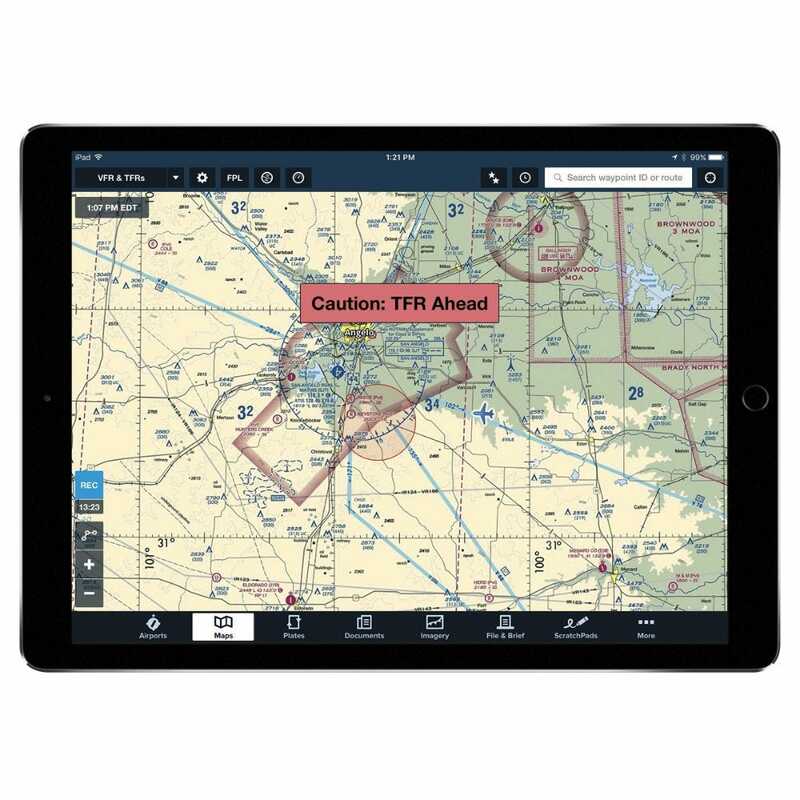 Stratus 3 receives updated information about temporary flight restrictions (TFRs) from the ADS-B network, so you can avoid a costly mistake. Simply turn on the TFR layer in ForeFlight and you'll see red circles on the moving map display. Tap on each TFR for details and effective times. Note: TFR information may not be comprehensive; check with Flight Service or ATC for complete details. For added convenience, Stratus 3 includes options for external GPS and ADS-B antennas (sold separately). This is ideal for experimental aircraft owners who may want to permanently install Stratus or for anyone who needs to remote mount Stratus. Simply connect the GPS, ADS-B, and power cables and Stratus can be placed almost anywhere. WiFi connection allows 5 iPads and/or iPhones to connect to Stratus simultaneously. 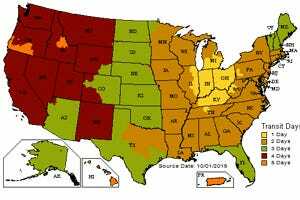 ADS-B coverage varies by location and altitude – does not work on the ground in most locations. Coverage not available outside US. Comes with charging cable and 110V wall plug; charging cable works with all 2.1 amp cigarette lighter plugs as well (sold separately). Also includes non-slip dash mount and pilot's guide. GDL 90 support tested with Fltplan Go, FlyQ, WingX, and iFly GPS. Stratus 2S owners can receive a $200 rebate towards the purchase of a Stratus 3 with the Appareo Upgrade Program. An ADS-B receiver is a major investment, and now there's an easy way to make paying for it a little more convenient. For a limited time, PayPal Credit is offering no payments and no interest if paid in full in 6 months on purchases of $99 or more. Just choose the PayPal option at checkout. Extremely easy to use, just turn on & pair with ForeFlight. The artificial horizon is wonderful & takes about two minutes to feel like you’ve been flying with it for years. All the ADS-B out traffic shows up nicely, easy to read. One of the reasons I moved up was the open GDL90 mode. I wanted to use my Foreflight while giving my co-pilot the ability to see weather on Fltplan.go. Unfortunately, the first thing I see when starting Foreflight is a warning to switch to default mode to use Foreflight. Another wish was to be able to feed Jepp FD (considering Boeing owns both companies). This doesn't work either. My company issued iPad uses Jepp FD and I really wanted to be able to choose which program I use. a great disappointment. I wouldn't fly without it. This is an essential part of my flight bag due to the safety it provides when paired with ForeFlight and FlyQ. I was unable to recharge the battery in my 4-year-old Stratus 2 so I replaced it with a Stratus 3. Connected it to my iPad and used ForeFlight to fly to the Bahamas the next day. Simple and easy; no issues. It is easy to use; just charge, turn it on and connect the wifi in settings. 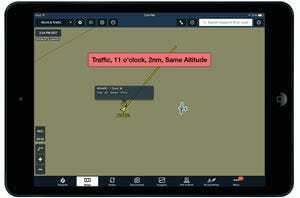 I use Foreflight on my phone and iPad - works well. I love the synthetic vision, traffic weather, etc. It seems to work well on the dash without an external antenna.It is the more expensive option among the portables, but seemed to be the more reliable in reviews I researched. Definitely seems well built and sturdy, but time will tell. I can’t believe all the convenience built into the package. This along with ForeFlight on my IPad have bean such an improvement over the old days. Instant weather, charts, airport information notices at your fingertips. Great tool. I was trying to use the Stratus 3 with WingX Pro on an iPhone, I was interested in the AHRS capability, weather and traffic in that order. The AHRS wouldn't work with wingx pro synthetic vision on my first flight. It just displayed the phrase "No AHRS". On the second flight it worked a little bit but their seemed to be a lag between what was actually happening and what was displayed. This could be a problem with WingX Pro or even my iPhone, but either way, it didn't work right. The AHRS on the appareo app worked great, but it wasn't synthetic vision which is what I was hoping for. Maybe it only works with foreflight or something? The weather radar map resolution was kind of grainy and disappointing. Overall, I was hoping to say "WOW" but I ended up saying "eh, it's alright. I will say the little rubber foot/cradle that the unit sits in sticks to the glare visor really well. I was bouncing around for 6 hours with a lot of vibration and the Stratus didn't move at all. If it were the least expensive unit I considered, I would have given it a higher rating, but it was the most expensive and didn't meet my expectations. Fantastic so far. I don’t regret the purchase one bit. Can you present a side-by-side comparison between my Stratus 2 and a Stratus 3 so I can make an informed decision as to whether I need or want the additional features? 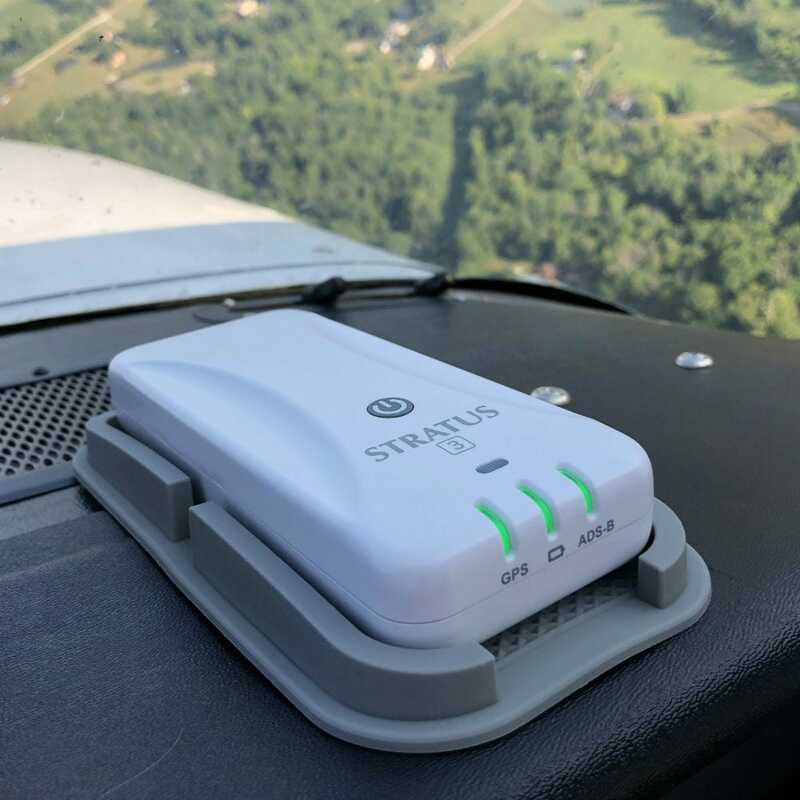 Stratus 3 adds: auto shutoff, smart WiFi, improved WiFi security options, Open ADS-B, and a $200 lower introductory price. Is there a trade in or upgrade program for the Stratus 2 I bought earlier this year? Looks like none of the improvements over the S2 are hardware features. Will there be a software upgrade for the S2 to enable the same features or is this a way to push people to buy a new device? Would really like to see a software upgrade path here for everybody that has the S2. BEST ANSWER: Appareo is working on a firmware update, and some (but not all) of these new features will be available for older Stratus units. What are the improvements over Stratus 2? 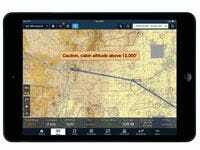 Will the stratus 3 work with the Jeppesen FD on the Microsoft Windows platform? BEST ANSWER: Stratus 3 will work with most other apps using the GDL 90 format. Any issues of powering off due to over heating? BEST ANSWER: I just flew my first flight and placed the stratus 3 same location as I use to place stratus 2, during flight I noted a comment on my ForeFlight that stratus 3 was about to overheat , never saw this in years with stratus 2. No reports of that as yet. Will the new 3 fit in the window mount that came with the 2S? BEST ANSWER: Yes, the Stratus 3 is the same size as the 2S and will work in the suction cup mount. I bought the S1 early on. I have been hoping that Stratus would at some point give a trade allowance in order to upgrade. Do you think that will ever happen? BEST ANSWER: There is a trade-in program for Stratus 2S but not for Stratus 1 at this time. Will this work with the same connectors on the ESGI? BEST ANSWER: It is mentioned in a later post that the Stratus 2 connector to Stratus ESG uses a different cable than the 3. I have the Stratus 2/ESG setup, I guess I will have to get a new cable if i upgrade. Yes, the power/GPS cable is different in the Stratus 2 and the Stratus 3. The Stratus 2S has the same connector for power/GPS. Yes, the connections for the power/GPS and ads-b antenna are the same for Stratus 2S and 3. The Stratus 2 power/GPS connection is different. Can you provide a comparison between the Stratus 3 and Foreflights Sentry? BEST ANSWER: There are 2 significant differences (aside from the price difference) between the Stratus 3 and Sentry. 1) The Stratus 3 has GDL 90 support, the Sentry does not and 2) the Stratus has external antenna connections. What this means to the end user is that the Sentry will *only* work with ForeFlight while the Stratus is compatible with any app that accepts the GDL 90 input. Also, you can mount the Stratus more permanently by taking advantage of the external antenna connections and keep it tucked away in the cockpit. There are some other minor differences (size, default mounting options, etc) that can be found elsewhere, but these are (I think) less significant. The Straus has a smart WiFi (it will not turn off the cellular data when connected), it has flight data recording, auto shut off, remote antenna options, and Open ADS-B data. Sentry has a CO detector, which Stratus does not. Sentry has a 12-hour battery, Stratus has an 8-hour battery. Hi Eric, Can you explain the differences in real world use please. 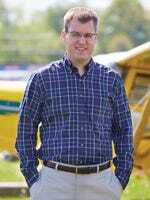 uAvionics leverages their drone inspired technology. The Sentry is smaller, lighter, electrically more efficient, and is $200 less. Disruption in the marketplace! 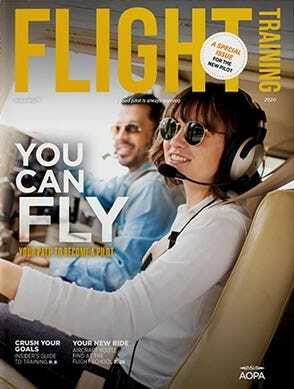 Great for us pilots. What are the advantages of the Stratus3 over the newly announced Sentry model? BEST ANSWER: Flight data recording, smart WiFi connection, auto shut off, and Open ADS-B so it will work with multiple apps. There are also options for external antennas on the Stratus 3, so it can be remote mounted. I have a Stratus 2, not 2S installed in my plane and connected to my Stratus ESG using the factory wiring kit. Is the new Stratus 3 connection port exactly the same and comparable with my current set up? I know there was a difference between versions 1 and 2. BEST ANSWER: The ADS-B antenna is the same. The power/GPS cable has a different connection at the Stratus unit. The Cable is available for $37.50, item 7098A. I was told by Stratus Appareo support that the Stratus 3 connectors/ports are identical to the 2i, What is the correct answer?? I don't want to buy a Stratus 3 and then have to buy a a new cable for $37.50 to work with my Appareo ESG. The connections / ports are the same as the 2i, 1S, and 2s. Yes, the ports are Identical. 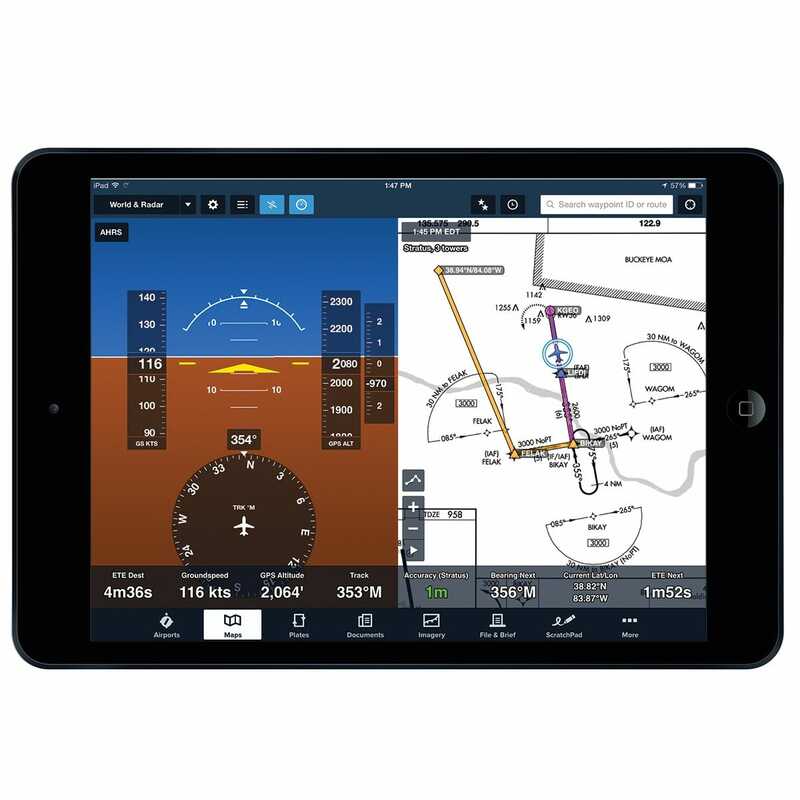 BEST ANSWER: The software in the screenshots above is ForeFlight and it is displayed on an iPad. Subscriptions start at $99.99/year. Does the WiFi icon not show up in the top left corner anymore when you are connected to Stratus? BEST ANSWER: That's correct. The Smart WiFi in Stratus 3 is telling the iPad that WiFI is only for short range data transfer, not internet connection, so the iPad will not show a WiFi symbol up there. You can still check in ForeFlight to verify Stratus is connected. My iPad said I was not connected to the internet, but a quick check that it was on the Stratus network, verification of data on Foreflight and I had the "warm and fuzzy" that everything was good. For some reason, this is true with my Stratus 2s as well, i.e. no wifi indicator on iPad home screen when Stratus is connected, but it shows up connected under settings. Why does the Stratus 3 not come with the suction cup mount any longer? The “In the Box” section doesn’t appear to have the suction cup mount listed as an included item as it did on the 2S. Is this correct or is it a typo in the description? BEST ANSWER: The manufacturer went back to the dash mount based on customer feedback. The suction cup is available for purchase and fits the Stratus 3. Any issues with overheating whilst sitting in the dash mount typically in the sun? It is possible, but we have not see an over heating issues in the Stratus since the fan was enlarged. I'm not sure feedback from whom but I and those I fly with much prefer the suction cup mount. I’m flying from KPBI (West Palm Beach, FL) to SPJC (Lima, Peru) using ForeFlight’s Jepp charts. What kind of weather will I receive from Stratus 3 over the Gulf of Mexico and into South America? BEST ANSWER: Once you leave the ADS-B towers in the US you will not receive weather. Can you access all foreflight info (e.g. AF/D's) when connected or just weather-related info? BEST ANSWER: Mark, the Stratus 3 has all the functionality of the Stratus 2S plus some additional functions that will be available as the FAA adds them to WAAS. I am completely satisfied with my purchase of the Status 3. If you would like to view some videos on the capabilities of the Stratus 3, they are available on both the Sporty's website as well as youtube. Hope this helps and good flying. Yes, you can access all of the Foreflight features. Does the stratus 3 have ADSB out or just ADSB in ? BEST ANSWER: Should be ADS-B in since it is a receiver vice transmitter (no out signal except wifi). I'm a Stratus 2 owner and am looking to upgrade to a pressure-altitude solution. Am I correct that the main differences between the Sentry and Stratus 3 are 12 hr vs. 8 hr battery life, and closed vs. open architecture? A trade-in program would definitely help bridge the gap. BEST ANSWER: One other difference: Stratus 3 has external antenna options so it can be remote mounted. You are correct, Straus also has flight data recording, auto shut off. 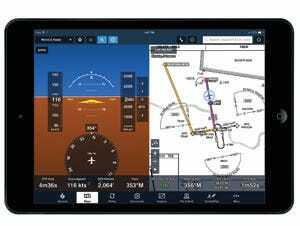 When viewing the synthetic vision page in ForeFlight using a Stratus 2S, what controls the course indicator and CDI in the lower half of the display? The aircraft heading is correctly displayed in the box at the top of the course indicator, but the CI and CDI point to a heading that does not seem to relate to anything the aircraft is doing and I can not find any way of changing it. BEST ANSWER: The CDI would display the deviation from the course to the next waypoint that is entered into the flight plan. 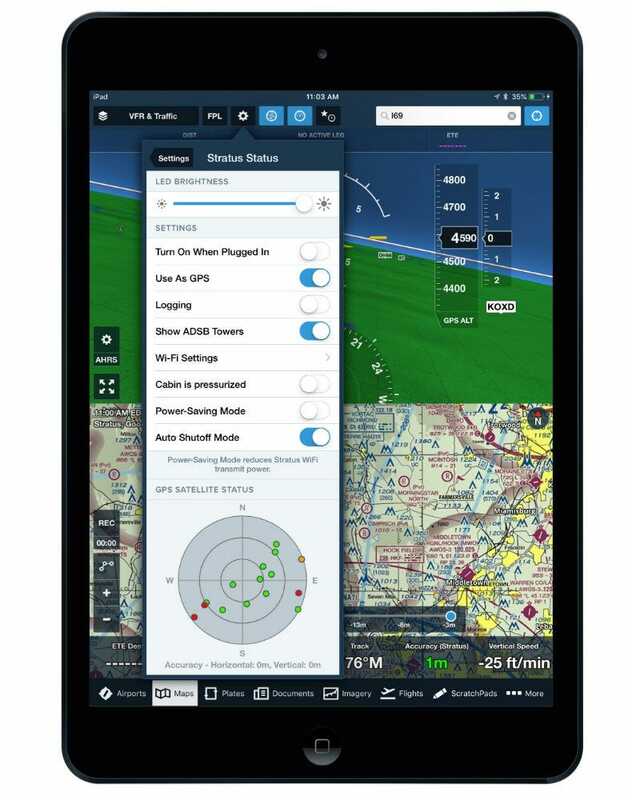 BEST ANSWER: Stratus can be placed in open ADS-B mode and is then compatible with Android tablets. We have a Stratus 2 (Model Number Stratus PRX V2, Serial # 222269) There's no S on it. Does it qualify for the $200 rebate? BEST ANSWER: The Stratus 2 can be traded in for the $100.00 off of a Stratus 2S. Does the Stratus 3 have a nearest airport menu in their screen? BEST ANSWER: The Stratus 3 itself does not but the Electronic Flight Bag app (Foreflight for example) does have the nearest function. If I use this with my WingX app, what features would I not have as compared to using it with Fore Flight? BEST ANSWER: Approximately 8 hours. Will this work with a WiFi only iPad or do you need cellular? BEST ANSWER: Yes, it works with the WIFI only model. Does this work with Garmin Pilot? BEST ANSWER: Currently, it does not work with Garmin Pilot. Can a Stratus 3 operate with a 256G iPhone 8’s? could the 796 be connected the stratus ESG for traffic information? BEST ANSWER: No, to provide traffic on the 796 you would need the Garmin GDL 50, 52 unit. will this unit work jeppensen software on ipad? BEST ANSWER: Appareo does not list the Jeppensen Software as compatible. The software manufacturers are adding compatibility, I would check with Jeppensen.